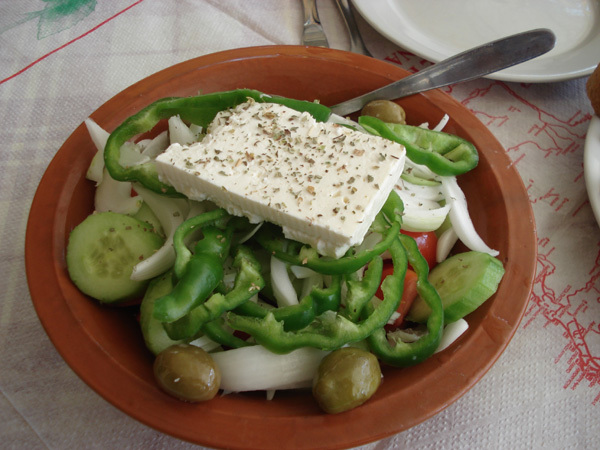 Greek salad is the favourite of tourists, it is delicious and nutritious prepares with fresh tomatoes, onions, cucumber, feta cheese, olive oil, peppers and olives. Cut the tomatoes, the onion and the cucumber in slices. Mix them, add salt and some pieces of feta cheese, oregano and at the end pour some olive oil.